HOUSTON – Dec. 15, 2016 – AEG Affiliated Energy Group announced today that its initial well has been completed and came on line in April 2015, having since produced close to 200,000 barrels of light sweet crude, plus a half BCF of natural gas. Sometimes referred to as Louisiana Light Sweet, the oil earns a premium to WTI. In October 2013, AEG announced that it and its affiliates acquired a ten percent working interest in a conventional oil project in Louisiana. The project continues to be focused almost entirely on oil rather than natural gas with present objectives near 13,000 feet. Pursuant to the initial test report, the well came online in April 2015 at an initial test (flowback) rate of 670 Barrels of Oil per Day plus 1500 MCF per Day, with no water. “We envision and are evaluating investments and acquisitions of additional conventional oil exploration projects, many of which we believe are undervalued and underexplored due to the present emphasis on certain shale projects,” said Rob S. Potosky, Esq. In more downstream activities, AEG’s team recently completed a $10MM+ credit facility for a New York based retail energy and gas client. The company also assisted with two M&A projects in the Midwestern gas and electricity markets. This followed five mergers and acquisition deals and/or debt financing deals specifically involving retail gas and electricity providers over the past five years, with the parties to such transactions headquartered across three continents. Regarding present market conditions, AEG’s team is pleased that the ban on crude oil exports has been removed in the U.S. AEG is interested in additional conventional and nonconventional working interest (and production) purchase opportunities, primarily in oil relative to natural gas. “AEG’s team is currently reviewing other onshore and offshore oil storage options and derivatives contracts with regard to the hedging of such physical oil production,” said Price. THIS ANNOUNCEMENT APPEARS AS A MATTER OF RECORD ONLY AND IS NOT TO BE CONSIDERED ANY ADVICE OR ANY TYPE OF OFFER OR SOLICITATION WITH RESPECT TO ANY SECURITIES, COMMODITIES, REAL PROPERTY, OR ANY OTHER PROPERTY. 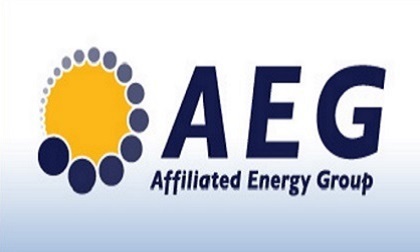 AEG is an energy and financial services firm headquartered in Houston, Texas. For more information, visit www.affiliatedenergy.com. All services that are required to be performed by a registered broker-dealer are offered through Burch & Company, Inc., Member FINRA & SiPC. The AEG Group and Burch are not affiliated entities.